Why Would We Want a High End Compact? As I look at the just-announced Canon S100, it has me thinking about this class of device in general. What factors would motivate me to spend between $400-$800 for a camera that fits in a pocket (in addition to the one I already have in my iPhone)? There are entries in this category that tempt me. I already have a Canon S90, and I love it. 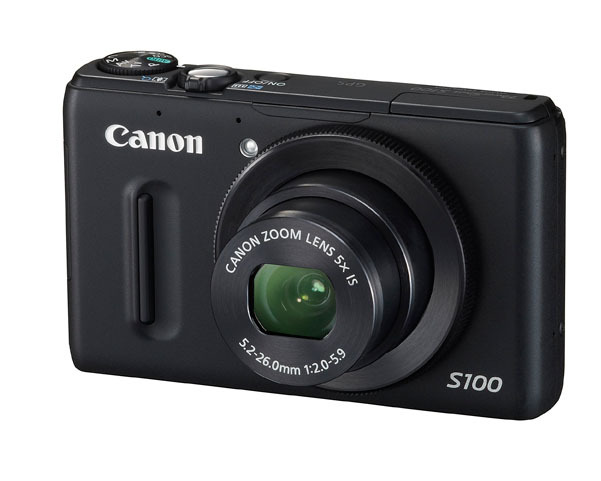 The S100 adds speed, resolution, optical zooming range, better low light capability, and GPS. There are questions about implementation, such as, can I shoot RAW and have those images GPS tagged too? We'll see about all of that soon enough. The Fujifilm X10 tempts me. It's absolutely beautiful, with premium glass, EXR image processor, manual controls, RAW capability, fast f/2.0/2.8 4X zoom lens, image stabilization, and 7 fps continuous shooting mode. Plus it has an optical viewfinder. How does it perform? We'll find out this Fall. How does it feel in the hands? I can't wait to find out. We're waiting for the release of the Fujifilm X10. I really like the Olympus XZ-1 with its fast f/2.0 lens, ability to use an electronic viewfinder, off-camera flash control, Bluetooth connectivity, and of course, RAW capability. It's actually a system camera in a small package. I can go barebones with just the XZ-1 itself, or I can bring along accessories and flashes. Nice option to have. 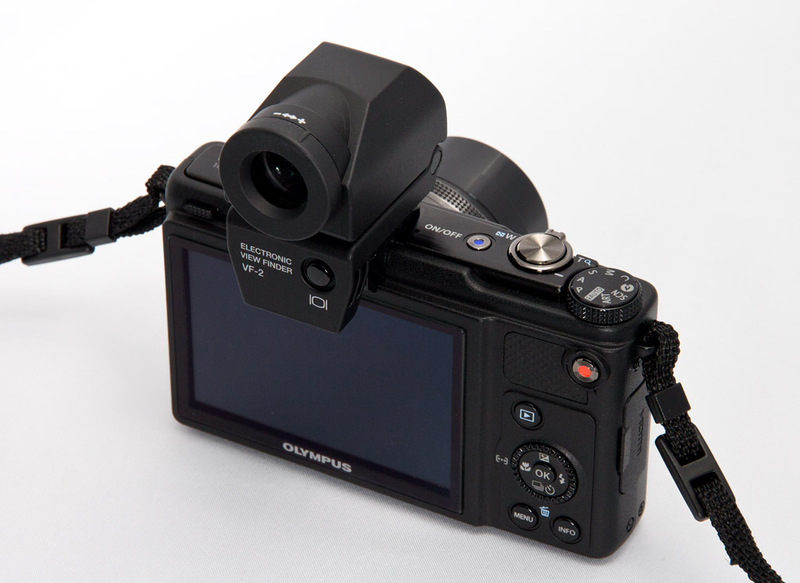 Olympus XZ-1 with VF-2 Electronic Viewfinder. Click on image for larger version. Photo by Derrick Story. As I think about these devices, what I really want boils down to this: unique experience, professional capability, and ultra portability. These cameras are for people who what to make photographs that can be featured on Google+ more than Facebook. And with an Eye-Fi card, I can leverage the communication capability of my iPhone to share these images quickly. As for the experience... if I'm at my kid's back to school night, instead of pulling out an iPhone for a snapshot, I have an X10. That's a different sensation. Even the most basic picture becomes an activity to relish. It feels good to make a photograph. Will I shoot more as a result? I've never seen photography more competitive than it is now. I think these cameras give us the ability to maximize any opportunity that presents itself, whether we're out to dinner with the family, or walking to the store for carton of milk. And because we love shooting with them, we may find more excuses to make photographs. The question is... can we afford them? I've been shooting with my Canon S95 more than any of my digital SLRs lately. It's easy to carry around and takes better quality photos than my iPhone. The main advantage of a full size SLR is the glass, which I only really need for photos that are going beyond web use. I think that is a compelling argument for premium compacts, Wil. Plus, they are fun, right? I love my Canon S90 which I have had since it first came out. Paired with an Eye-Fi card, its great for taking quality pictures, loading to my iPhone, doing some quick edits, and then sharing via Facebook or Google+...especially when I'm out with my family. I use my dSLR for home and family events. For me...any compact camera must fit in my pocket which is why I'm not a big fan of the micro four thirds cameras. I think Canon hit a home run with the S90. Paying a premium for a camera like the S100 makes sense to me because it's better than any other pocketable camera. My S95 is small enough that I can take it anywhere without even thinking about it. The X10 makes a bit less sense to me. it's not pocketable, isn't even all that much smaller than the smaller NEX, PEN's, and GF's, and is supposed to be priced around $600-700, so it's not any cheaper, either. Sure it has a faster lens than any of the mirrorless kit lenses do, but the sensor is like a 1/4 of the size or smaller, as well. If ultimate image quality for the size and price is the goal, I'm guessing the smaller mirrorless cameras would achieve that better and would give you more flexibility down the line. That's not to say that I don't see any reason to get the X10. if you already have a bigger DSLR, just don't want to bother with a smaller system camera, need a viewfinder, and/or just prefer the feel of the X10 (a very underrated aspect; if you enjoy using a camera, you'll use it more and probably will take better photos), the X10 makes a lot of sense. And it's interesting, Rohith, that you use both a premium compact and a Olympus PEN, if I remember correctly. So even for micro four thirds shooters, there seems to be a place for a quality camera that fits in the pocket and can go anywhere. Yep, you remember correctly! The E-P1, while certainly compact, (I can fit the camera with the 14-150 on it plus two other lenses, a flash, a rocket blower AND a Canon camcorder in the camera compartment of the Lowepro Photo Sport Sling, something no DSLR could do; thanks for the recommendation, btw), just isn't compact or light enough to put in a pocket, even with a pancake lens on it. When I know I want to take photos, the E-P1 always comes along. But I don't always want to be in photography mode, which is when the S95 comes along, just in case something strikes me or there's a snapshot to take. It's small and light enough to not be even the slightest burden or annoyance to my wife (critically important that last bit). I picked up my Canon G-12 for mainly my girlfriend to use when she is in town or I fly out to see her. I wanted something easy for her but still wanted RAW and manual controls for me. I carry it in the car with me most of the time or when I don't want to schlep a dslr. It's better to have a pocket camera than no camera at all. My camera on my phone isn't really for anything other than snapshots due to it's lack of features. And T.L., the Raw component is critical for me too. No Raw, no deal. I have been using an s90 for a couple years and love it, even brought it as my only camera to Hong Kong last year. I recently picked up a GF2 with the 20mm pancake instead of fixing my Canon 40D that is plagued with the ERR-99 issue. The main reason being I wanted something smaller than a full sized SLR with a larger sensor than the s90. I'm still not sure if I made the right choice with the GF2, but I'm happy with it thus far. I've just got an Olympus EPL2 (with the VF-2 and Panasonic 20mm f/1.7) and really enjoy the freedom that it affords me. Leaving the 5D II at home but knowing I can still get some shots I'll be happy with is well worth it. There's an increasingly interested middle ground between consumer point and shoots and DSLRs.